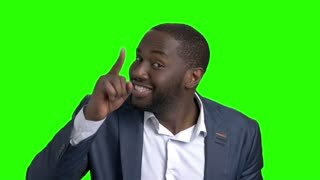 Playful dark-skinned businessman on green screen. 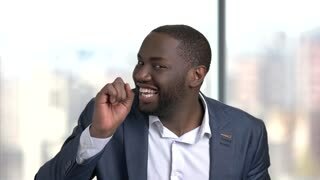 Young cheerful afro-american man in formal wear inviting you to dance on chroma key background. Lets dance concept. Funny dark-skinned man in formal wear. Cheerful black man in business suit inviting for a dance on blurred background. Lets dance concept. 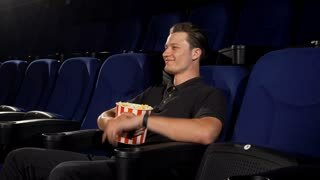 Young handsome cheerful man enjoying watching a movie at the cinema, eating popcorn. Attractive male spectator pointing at the cinema auditorium inviting viewer to join him.